3 New U.S. Census Webinars Covering 1790 -1940 and State Censuses Too! Legacy Family Tree Webinars continues to wow us with their Subscriber Summer Spectacular. 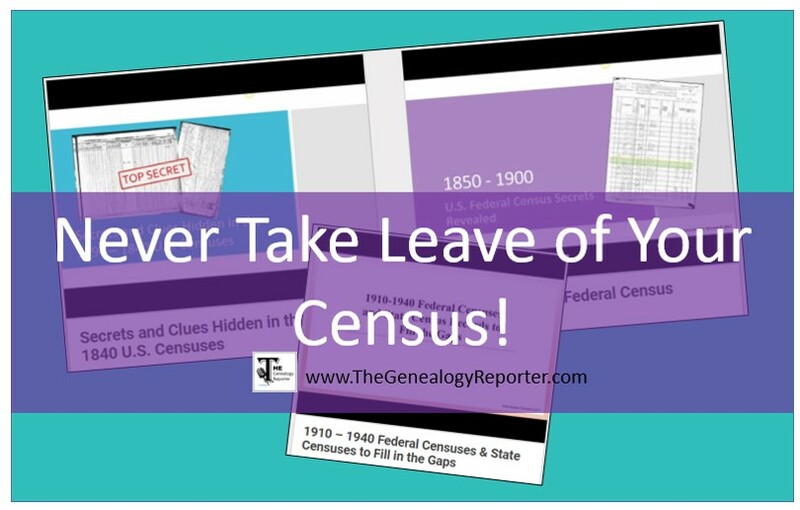 Now, they are presenting three new U.S. census webinars presented by The Genealogy Reporter, Amie Bowser Tennant. Learn the hidden details of each of the U.S. censuses and how they can impact your genealogy research. I know many of you enjoyed our recent posts titled “The Secret Hiding in the 1840 Census” and “Beware the Phantom of the 1820 Census.” Today, I am offering you a webinar series including those tips and more. You won’t want to miss the revealing details of the U.S. federal censuses and state censuses provided in these webinars. To view the webinars and download the outlines, you need to be a subscribing member of Legacy Family Tree Webinars. BUT I HAVE GREAT NEWS! Now through August 13th, you can subscribe to Legacy for 50% off, making your year subscription only $23.47. 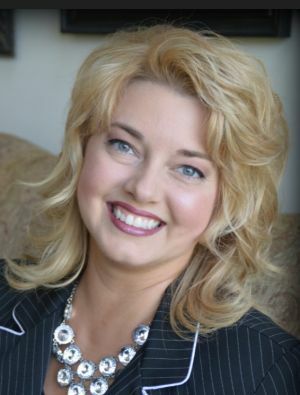 Already a subscriber to Legacy Family Tree Webinars? Then renew at this great low price! 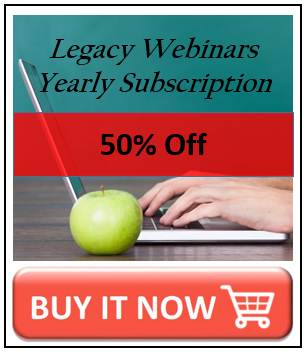 Legacy Family Tree Webinars have over 500 top-notch genealogy and family history webinars presented by the leading genealogists in the field. Blaine Bettinger, Thomas MacEntee, Judy Russell, and Lisa Louise Cooke are just a few that join me in presenting the things you need to know to make your genealogy journey a successful one. So what are you waiting for? Join today! The Genealogy Reporter has an affiliate relationship with Legacy Family Tree. Purchases made through these links will result in a commission to The Genealogy Reporter.